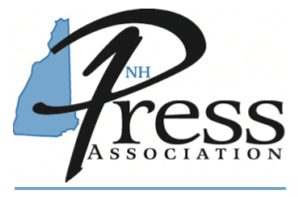 The New Hampshire Press Association welcomes its newest member, The New Boston Beacon, a free monthly being produced by Publisher and Editor Keith Gentili. The Beacon’s inaugural edition premiered January 26. The Beacon fills the news void left with the 2017 demise of the New Boston Bulletin, which is no longer published following the retirement of its editor failed attempts by community members to keep it afloat. Keith bills the Beacon as a traditional community newspaper, modeled in part after The Bow Times, with content created by a cadre of community volunteers. He is currently producing 24-page issues with hopes of eventually building out to a 40-page publication. He prints in Concord. Keith is a Massachusetts native who worked at newspapers in Peterborough (NH), Springfield and Nantucket, before entering corporate magazine publishing. He currently works from home as a corporate sales executive for a Massachusetts company.